The years from birth to three are critical for babies as they learn to listen to the world around them. This is a new generation of children who are deaf or hard of hearing. Babies can now be identified at birth and begin wearing hearing aids while still in the crib. What parents and their baby do now will impact the development of listening, talking, and even reading later on. 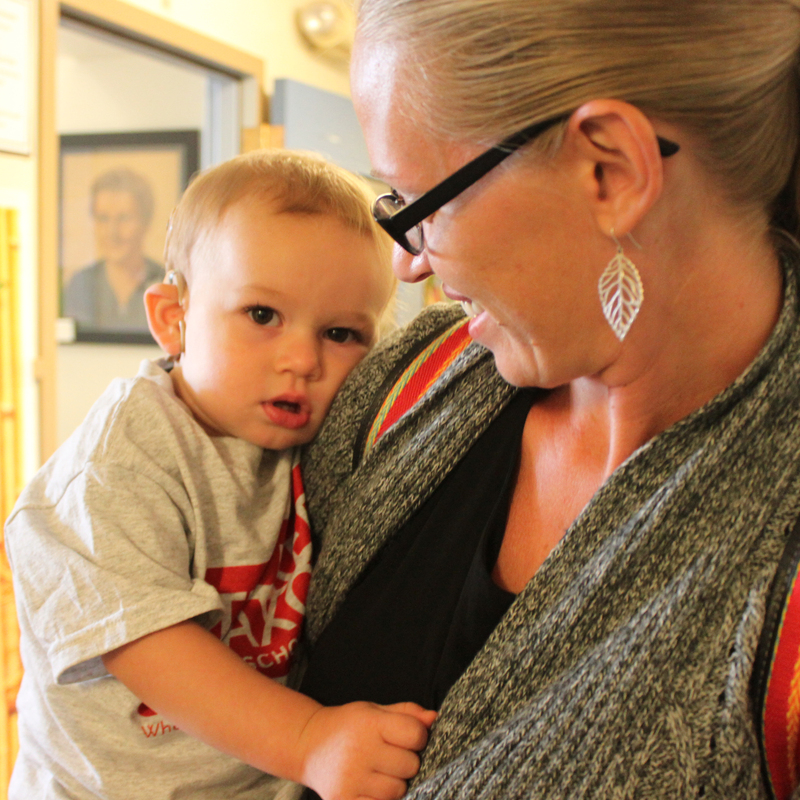 At Tucker Maxon School, a collaborative, family-centered approach develops a child’s listening and spoken language abilities while supporting the family in providing a language-rich environment at home. If your child has been diagnosed with hearing loss, we would be happy to talk with you. We are here to answer your questions and show you how we can help you and your family. School district contracts are welcome, as well as private enrollment. For families of children who are deaf or hard of hearing enrolling privately, financial assistance is available based on demonstrated need. 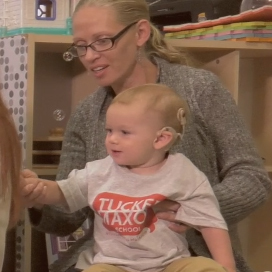 The first three months of Tucker Maxon’s Early Intervention Program is provided at NO COST to families. Contact Tucker Maxon School today. Weekly meetings with local families at home, at school, or through tele-intervention for out-of-area families. 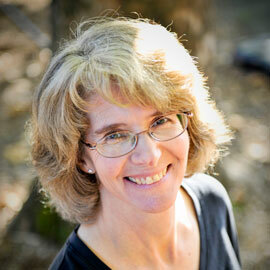 Helping families use daily activities and routines to teach their child. 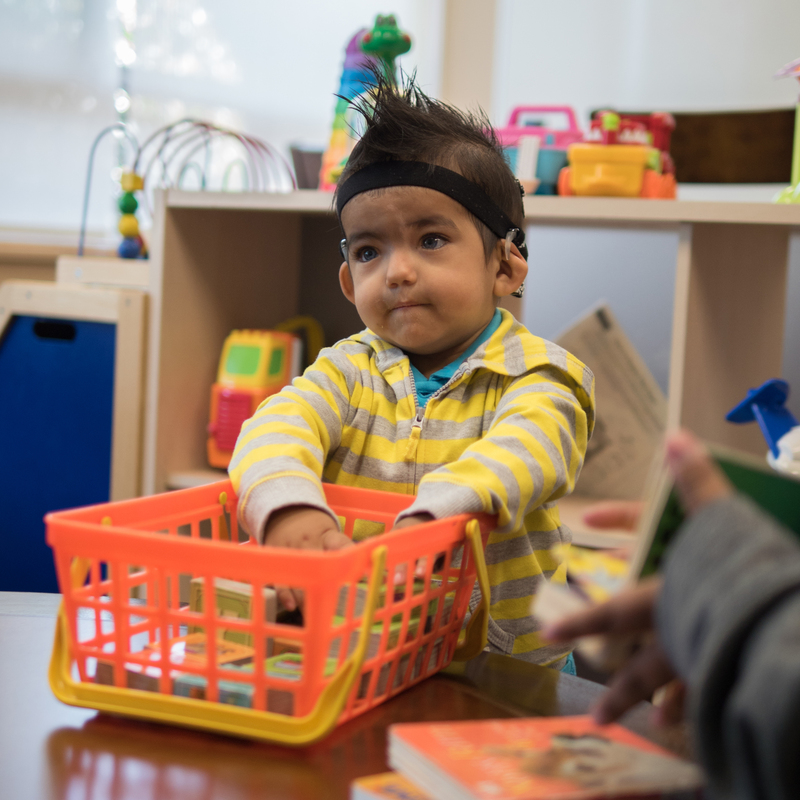 Helping parents maintain consistent access to sound for their child by establishing full-time hearing aid or cochlear implant use. Providing the child with early education specific to auditory learning and spoken language in order to set the stage for reading and academic achievement. 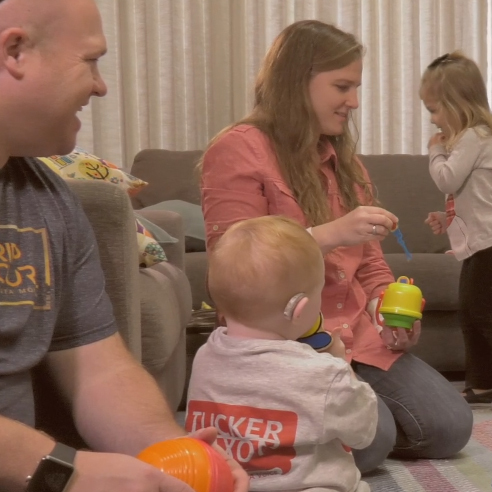 Educating the family on hearing and speech disorders so they feel comfortable advocating for what they believe is best for their child. Don’t live near Portland? Try Tele-Intervention! Tucker Maxon School also offers Tele-Intervention services for out-of-area families. Our Tele-intervention services are provided over the internet (via Skype or Facetime) by our EI specialist. We can start working with you right away to build your child’s listening and spoken language skills – no matter where you live. The best part? Tele­-intervention services are provided at NO COST for the first six weeks of enrollment.